Nothing could have perpared me for this scene. No words. No images. No nothing - could have foretold of its unfolding. Its grand majesty. Its presence. Its color. It's beauty. It's fortitude and strength. Altho one who prefers the more intimate details that tell a story - it was hard not to want to capture this vision in its entirety. 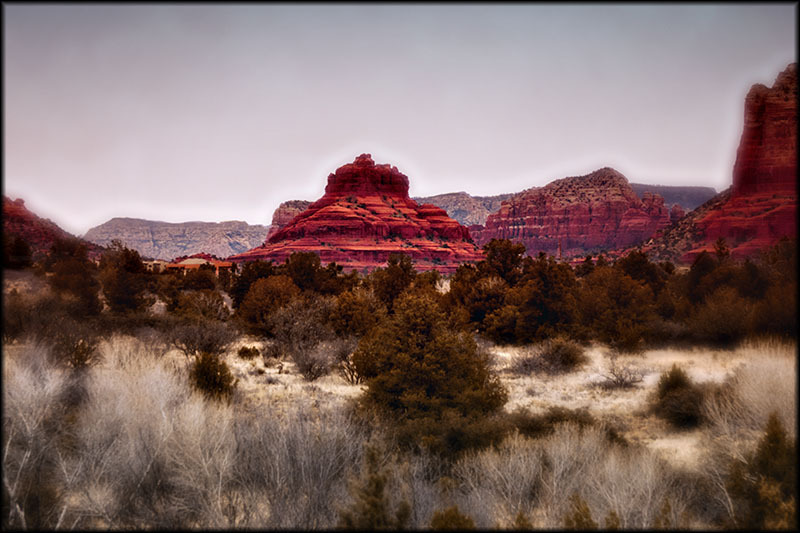 Out of the desert scrub the red rock cliffs and canyons left me dazzled and dazed. How is it possible that there be such beauty? How is it possible that out of nothing and nowhere - there is this? It is..it was - no question or doubt - far more impressive than I can even begin to attempt to describe. Not with my words..nor with the aid of my camera's lens. I couldn't..I wouldn't dare to be that bold and brave. I could never do it justice. Awe-struck. I was. I am.